We're just a few days away from Google's September 29 media event, and it looks like the company and its partners cannot keep the hotly-anticipated LG Nexus 5X and the Huawei Nexus 6P from leaking online. This time around, the LG Nexus 5X was spotted making the rounds at the FCC. If you were having any doubts that the 2015 refresh of the original Nexus 5 will reach your carrier, then you'll be glad to learn that the official FCC documents list the Nexus 5X as compatible with all four major carriers in the US: Verizon, AT&T, T-Mobile, and Sprint. Two versions of the handset have received their wireless certifications from the FCC. One of them has model number LG-H790, and this looks to be the US version of the phone. The other version of the Nexus 5X that the FCC indirectly confirmed, bearing model number LG-H791, lacks support for CDMA carriers, and is expected to be a global GSM smartphone. 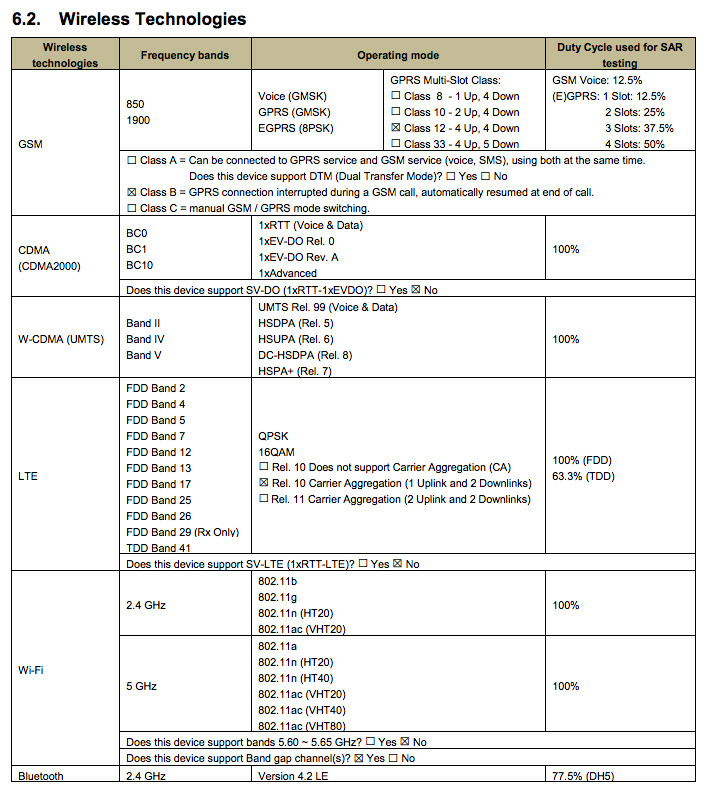 As per the official FCC documents, the US version of the LG Nexus 5X is compatible with CDMA bands BC0, BC1, and BC 10, meaning that the phone will be compatible with both Verizon and Sprint. T-Mobile and AT&T support is ensured by the phone's support for GSM bands 850 and 1900, as well as WCDMA bands 2, 4, and 7. In terms of LTE compatibility, the US version of the Nexus 5X is compatible with LTE bands 2, 4, 5, 7, 12, 13, 17, 25, 26, 29, and 41. In a nutshell, these are all the LTE bands you can possibly use in the US. After spotting these results, we've searched for evidence of the Huawei Nexus 6P in the FCC database, but, for the moment, our inquiries came up short. Comment of the day goes to you without a doubt. The Nexus 5 also supported the GSM bands at 900, 1800MHz and the the UMTS bands I, V and VI. Without them and missing the LTE bands 1 and 3, the Nexus 5X is not good phone for international trips, unlike its venerable predecessor. Err... UMTS bands I, III and VI. What does that have to do with a Nexus article? Then get off of a Nexus article.....? Wow. That was a stupid way to drop $1,000. My 64 GB OnePlus One has identical specs except that it's 64 GB and I paid $363 delivered. You're not very smart with money are you? That's not something to be proud of.